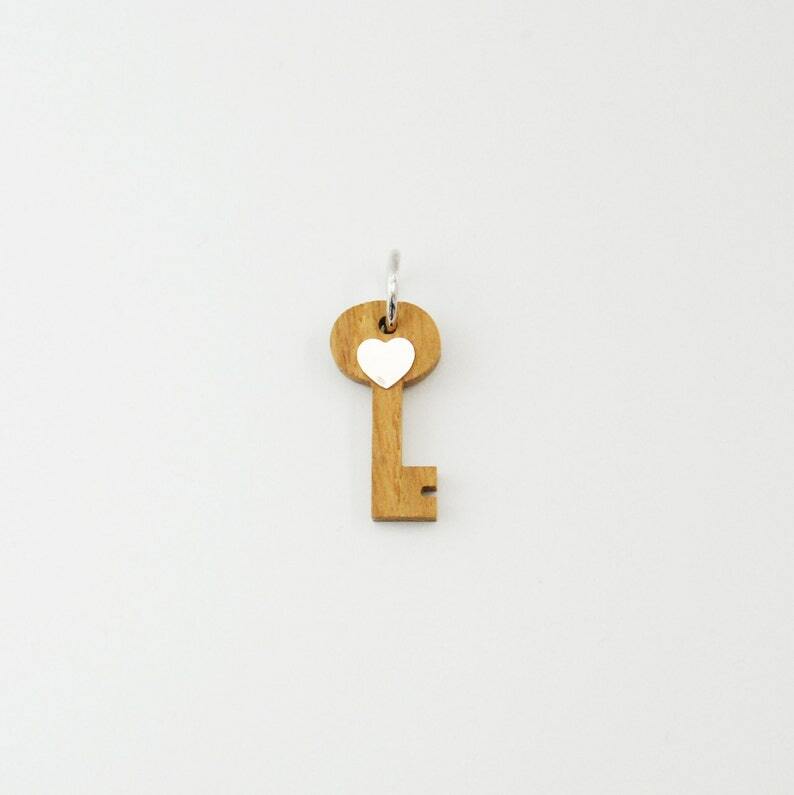 Key wooden pendant is the perfect gift for your girlfriend or boyfirend. With this special charm you will tell to your love "You have the key of my heart". This charm can be personalized with initial. Key charm is made with solid oak wood. Heart is made of rodhium plated silver 925 (entirely nickel free).